Miley Cyrus is one of the most controversial celebrities in recent years. Since her reconciliation and engagement with Liam Hemsworth to being part of The Voice, and some going outs with her family, it seems to be a good year for Miley Cyrus. We have chosen carefully her five best moments of this year in special photos .Read on to see them. 1. Miley Cyrus and Liam are officially back together. The engagement ring returns to Miley's finger. They look more happy and in love than ever. 2. Miley Cyrus joined The Voice as a key adviser for 10 season. The singer worked with contestants to help them improve their performances. 3. Miley Cyrus shares Easter Greetings on Social Media. "Happy Easter Smilers", she wrote. 4. 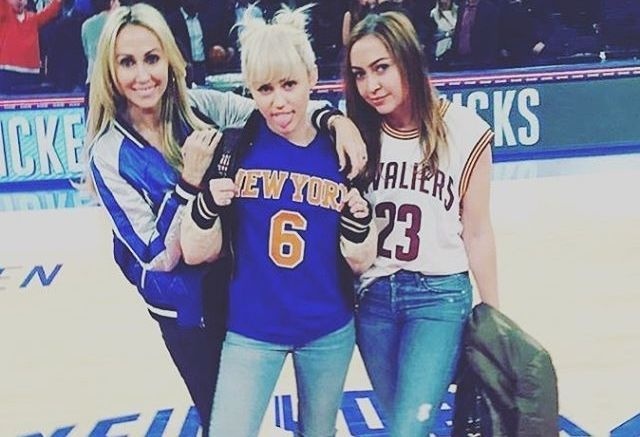 Miley Cyrus attended at New York Knicks basketball game. She was spotted with her mother Tish and her sister Brandi. Also, she got caught on the Jumbotron and made funny gestures. 5. 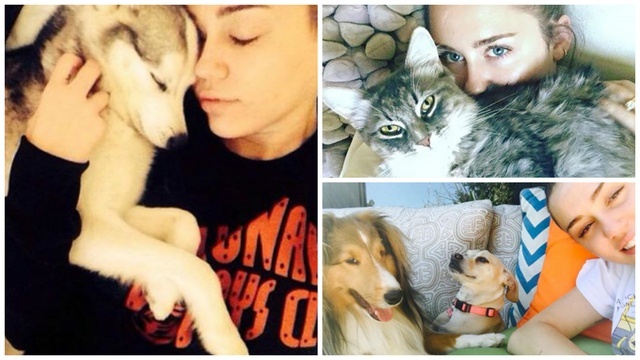 Miley Cyrus and her pets. The singer has adopted all kind of animals over the years. Recently, she remembered her puppy Floyd, which died two ayers ago. "He is with me more now in spirit than he could've ever been physically," she wrote.